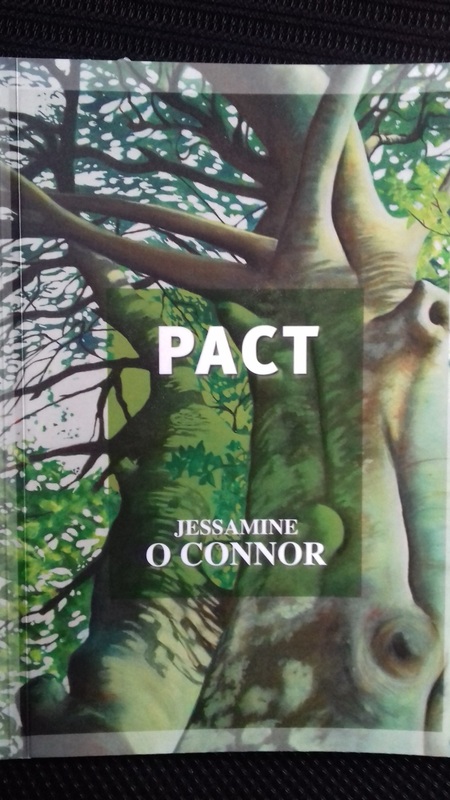 NEW BOOK: "PACT" available now! 10eu including postage to anywhere in the world. Welcome to the website of Jessamine O Connor, a Dublin born poet living on the Sligo Roscommon border in the west of Ireland. Winner of the Poetry Ireland/Butlers Cafe competition 2017, and previously the iYeats and Francis Ledwidge awards, my poems have been shortlisted in numerous competitions such as the Hennessy, Cuirt, and Over the Edge. To read some of my work climb into this site, and/or buy my chapbooks. 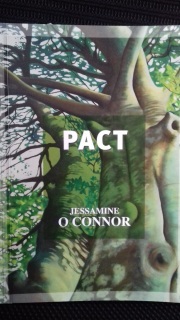 "Pact is Jessamine O Connor’s fifth collection, having self-published three previous chapbooks. It perhaps says something about the state of publishing in Ireland, how difficult it can be, with few platforms to notice you. With O Connor being shortlisted for the Cuirt New Writing Prize, Over The Edge and the Hennessy Literary award, listed in many others, and having won the iYeats competition and the Francis Ledwidge Award, it’s a wonder she hasn’t been snapped up by a larger press by now..."
Review of Hellsteeth on "The Ranting Beast"
"a way of saying ‘this is wrong’ without telling readers which way to vote. Jessamine O’Connor respects and gives space for her readers to think. "Her strength lies in her ability to be passionate about a situation, while structuring that passion into a poem that doesn’t dictate the reader’s reaction or hammer the poet’s viewpoint home. ("There are some light hearted moments, and the title poem, another about Gaza, carries a hopeful image of kites fluttering like dreams, necessary colour in bleak circumstances. The poems work even if the reader takes an opposing viewpoint, the mark of a skilled politician: one whom you will listen to even if you don’t support their ideology, because they are a persuasive orator who appreciates what the flexibility and power of language can achieve, one who knows that a well crafted speech doesn’t need to be shouted. The quiet voice of experience and empathy will resonate far longer, and Jessamine O’Connor shows that she understands that." 27th January (Sunday) 3pm in Books Upstairs, Dublin. With friends Louise G Cole and Gerry Boland. 8th February 6.30pm, Charlie Byrne's Bookshop, Galway, as part of a showcase of Over The Edge writers, all reading from our new books. August TBC in Cavan somewhere!